CISV Norway and CISV Colombia have made an exciting book to contribute to the CISV’s theme of the year: Diversity. 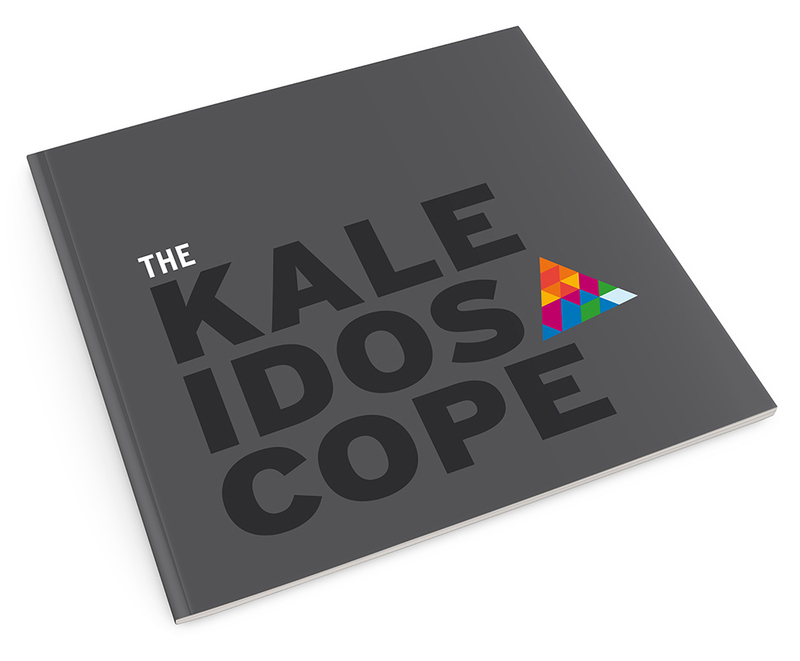 The book, titled The Kaleidoscope, is the third release in the CISV Peace Education Series which already includes The Lunchbox (about sustainable development) and Bowl of Rights (about human rights). In The Kaleidoscope you can find articles about diversity from different perspectives, as well as diversity educational activities —that can be used in CISV programs, cabin trips or night in with friends. The books goal is to give the readers a better understanding of this CISV focus area. The book was made by The Divers, an exchange project between CISV Norway and CISV Colombia in 2013–2014, and it was funded by Fredskorpset, LNU (The NorwegianChildren and Youth Council) and The Norwegian Ministry of Foreign Affairs. If you wish to get a copy of this book send an email to norway@cisv.org, the book is free but you will have to cover the shipping costs. Read it in your web browser (like Chrome, Safari, Firefox, Explorer) by using Google Books. To do this go to https://play.google.com/books/uploads and upload the file you downloaded here. You will need a Google account for this (but no credit card information). Read it on your tablet or phone with an EPUB reader app. We recommend iBooks for iOS and Google Books for Android, as they best support the books format. If you have a Mac computer, you can get iBooks for your computer at the Mac App Store. 2. If you have a Google Play account, you can download the book there directly to read on your computer screen (on any web browser), tablet or phone (with the Google Books app). 3. If you have an Apple account, you can download the book directly on the iBooks Store to read on your computer screen, tablet or phone with the iBooks app. Årets tema i CISV er mangfold og i den anledning har CISV Norge og CISV Colombia laget en spennende bok om temaet. Boka heter The Kaleidoscope og er en del av bokserien vår som allerede består av The Lunchbox (om bærekraftig utvikling) og Bowl of Rights (om menneskerettigheter). The Kaleidoscope inneholder artikler om mangfold og ulike former for mangfold. I tillegg har boka også nye aktiviteter om mangfold som man kan bruke på leir, hytteturer eller kveldssamlinger. Målet med boka er å fungere som et verktøy for våre medlemmer sånn at de også kan få en bedre forståelse av temaet mangfold. Boka er laget av Divers, utvekslingsprosjektet mellom CISV Norge og CISV Colombia 2013/2014 og finansiert av Fredskorpset Ung, LNU og UD. Den finnes også gratis i e-bok format her eller på Google Play og iBooks. Ønsker du et eksemplar kan du også ta kontakt med sekretariatet (norway@cisv.org). Boka er gratis, men man må dekke porto selv.